Have you been researching floor refinishing in Northwest Arkansas? 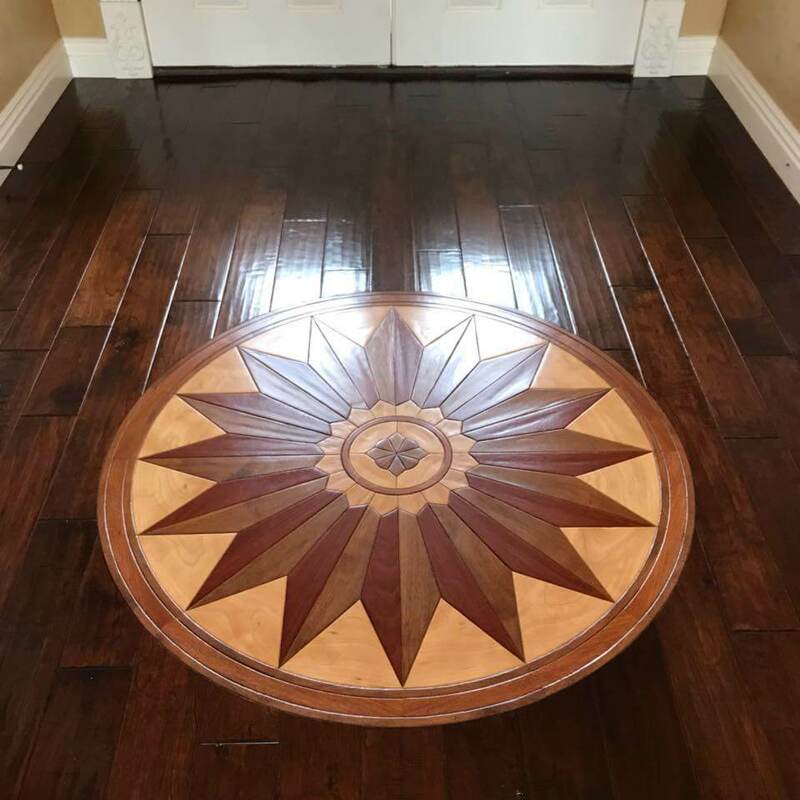 When the problem of what to do with old, ugly hardwood floors presents itself, naturally, we want to know how to make those old floors look new again. Should we sand hardwood floors and stain or is a quality hardwood floor restoration possible without the mess, dust and inconvenience of sanding and refinishing? Sandless Refinishing is a convenient & budget-friendly way to restore an old floor without the time-consuming mess and stress of traditional sanding and refinishing. It can be used on a thin floor that is no longer thick enough for sanding, and floors are ready for use in just one day. There’s no dust to clean up, you don’t have to move out, it’s non-toxic and safe for children and pets and it’s less expensive too. Whatever the present condition of your hardwood floors, and regardless of what traditional floor refinishers recommend, you owe it to yourself to talk to professionals adept at sandless floor restoration. Below are are some frequently asked floor restoration questions and answers from our local expert who covers all of Northwest Arkansas including Bella Vista, Bentonville, Springdale, Rogers and Fayetteville. Ask a question, it is free. This blog post is sponsored by Northwest Arkansas Floor Refinishing. A ph neutral cleaner. Most cleaners have wax or other chemicals that leave a buildup on your floors over time. What is the Difference Between Traditional Sanding and Mr Sandless? Traditional sanding takes several days even a week, its messy, the smells are strong and can linger for days or weeks. There is no sanding, thus no dust and you can walk on your freshly refinished floors that day. And Mr. Sandless has a 5 year warranty. Can You Fix a Floor That the Sun has Bleached Parts of The Color Out? Mr. Sandless can spot color and refinish your floor to match! Sand and restain or Mr Sandless can make them darker with no extra steps. Can You Refinish Engineered or Handscraped Floors? Mr Sandless can refinish any wood, laminate, tile or vinyl floor. We are the only company that can do this! How Does Mr Sandless Work? We use a proprietary system that preps and cleans your floors at the same time. Then our patented sealers and finishes are guaranteed to adhere to you existing finish. I’ve been in the flooring business 20 years, and it is my passion to create warm, inviting spaces for my clients to enjoy year round. When I do a job, I do it right, and when I say I’ll be at your place on a given date and time, I make it a point to be there. 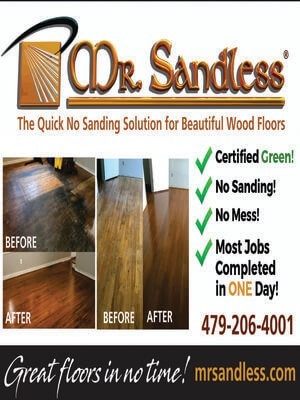 I would love to talk with you and show you what Mr. Sandless can do for your old and worn floors.